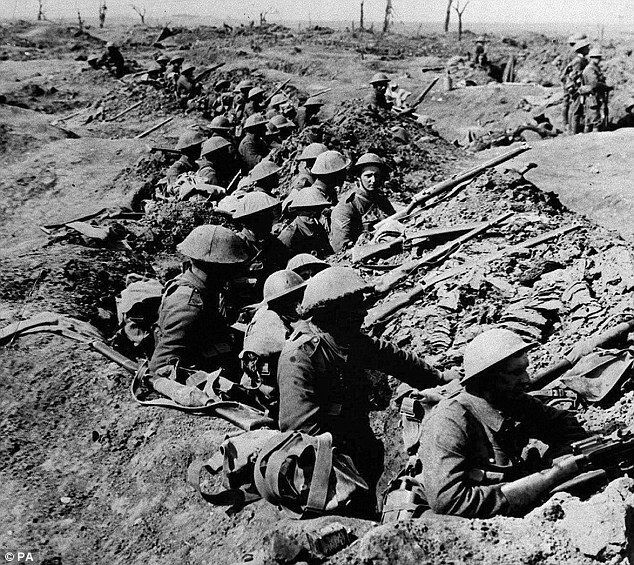 The First World War was completely different from all previous conflicts. The main difference was the fact that it was fought in vast territorial extension and sixteen nations took part in the conflict. On the other hand, new guns were introduced such as the offensive guns (machine guns, flame throwers, toxic gases, mines, submarines and air planes) and new defense systems like the trenches. Other forms of combat like the psychological warfare were also implemented. The economy and the society changed quickly to adapt to the conflict. Economy was focused on war material production where as women became an active part in the workforce replacing men who were in the battle field. Besides, bombing effects on civilians as well as food rationing were common. The war of movement (1914) the war started in the Eastern and the Western fronts at the same time. 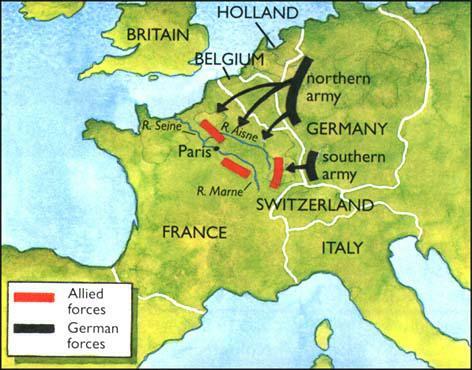 Germany wanted a flash victory over France to concentrate forces and resources in the Easter front to defeat Russia. France resisted at the Battle of the Marne while Russia advanced quickly over Prussia. At the end of 1914, The Ottoman Empire entered the war with the Central Powers. 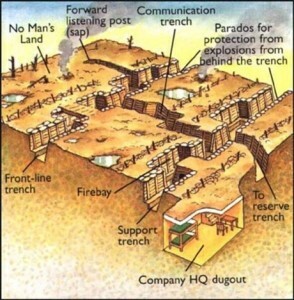 Trench Warfare (1915-1916) No decisive advance was made so fronts were stabilized in extensive lines called trenches protected by guns and wires. Offensives over Verdun and Somme were made with no clear result and war became global when Bulgaria, Romania, Italy, Japan or Portugal entered in the war. 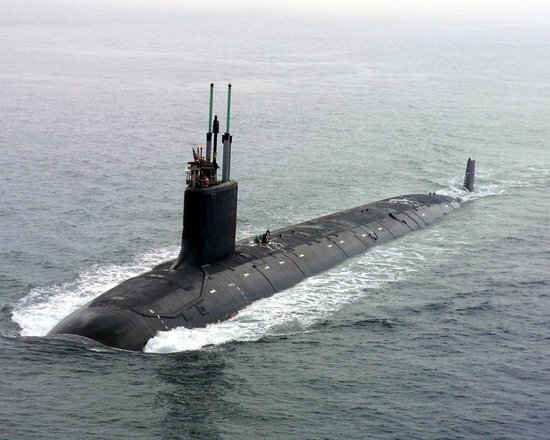 War ends (1917-1919) The United States joined the War in 1917 once an American submarine was fired by the Germans. 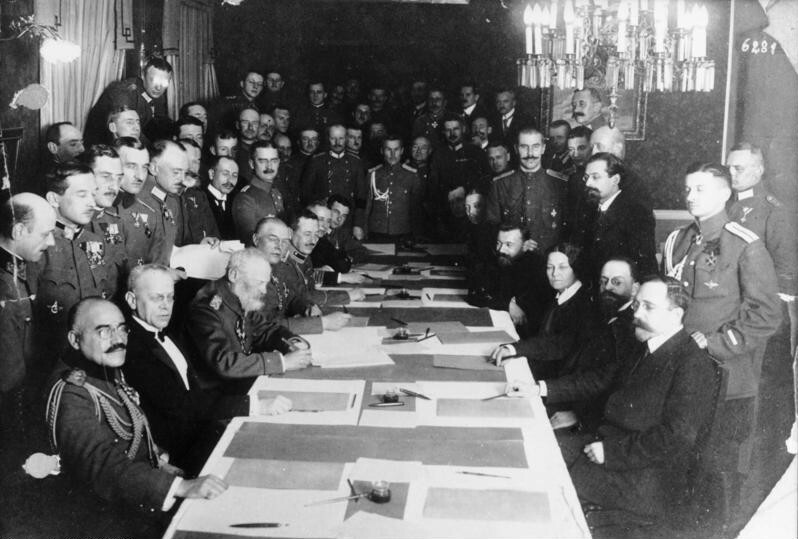 Russia, on the other side, withdrew after the success of the communist revolution in 1917 and signed the treaty of Brest -Litovsk in 1918, The allies attacked all fronts and the Central Powers surrendered progressively. US president Woodrow Wilson realized the Fourteen Points to regulate world peace. The winners and the defeated countries met at the Paris Peace Conference (1919-1920) where different peace treaties were signed. 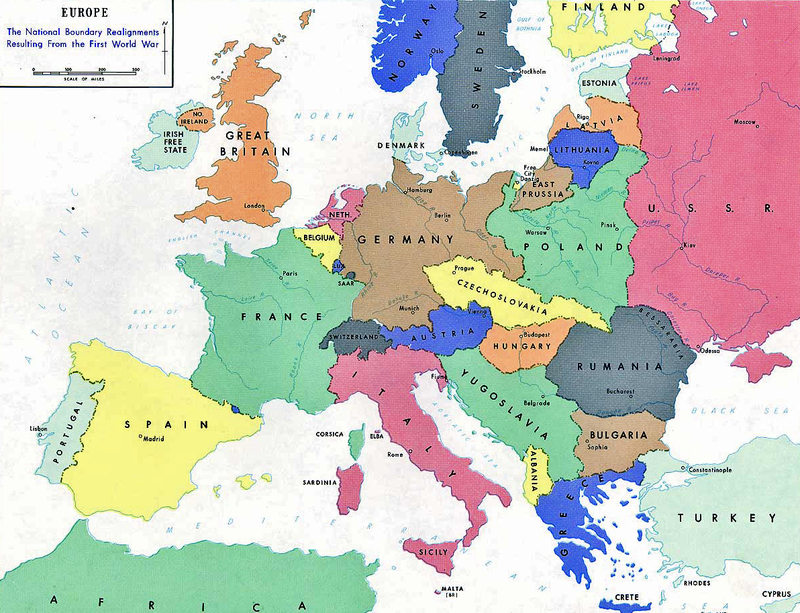 The defeated countries had to reduce their armies, to pay war reparations and make territorial concessions which changed the map of Europe as the Central Empires disappeared. Germany lost in favor of France Alsace – Lorraine as well as all the colonies. Being blamed for the war and having to pay high war reparations, Germany was a nation eager for revenge. 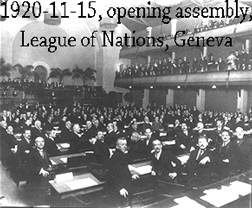 Because of the Paris Peace Conference, the League of Nations with headquarters in Geneva was founded in 1919 to promote peace and negotiation of international conflicts. More than 9 million people were killed and many soldiers and civilians were injured and disabled because of the conflict. Economy was seriously affected not only for devastation but also for destroying infrastructures. Socially the gap between the working and the middle classes grew and only few people involved in war industries benefited from the war. Women began to work outside home so they became more active and independent. Ideologically new pacifist ideas appeared as well as an increasing desire for revenge in the defeated countries grew. Political changes included the disappearance of the Central Powers, the implementation of universal male suffrage and progressive feminine vote, European supremacy was replaced by USA leadership will continue.